Lake Pend Oreille is the largest lake in Idaho and a great place for a North Idaho vacation. Pend Orielle is also one of the deepest inland lakes in North America (only four lakes in the U.S. are deeper!). This lake is a fishing and recreation mecca, with 144 miles of shoreline and depths measured up to 1,170 ft. From mountain goats to eagles, there is an abundance of wildlife in and around Lake Pend Oreille, more than 200 species of birds have been counted here. The town near Pend Oreille is Sandpoint, a quaint, vibrant community guided by it’s summer and winter sports activities. In the summer, Sandpoint is a must stop for all N. Idaho vacationers due to it’s size and availability of outdoor activities. From fishing, camping, hiking, and huckleberry picking, Pend Orielle offers something for everyone. In the winter, Sandpoint is home to the most popular ski resort in Idaho and Eastern Washington; Schweitzer Mountain. 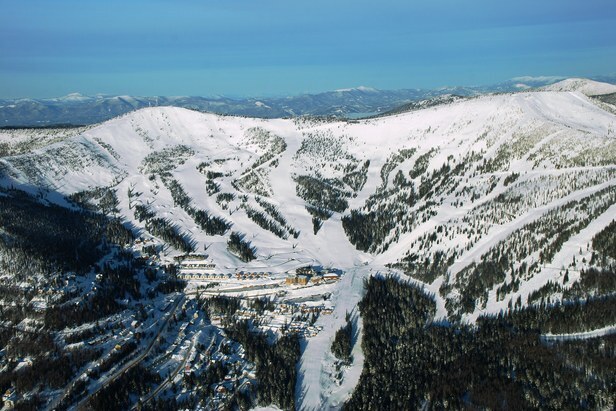 With over 90 skiiable runs and 7 chair lifts, Schweitzer dominates the landscape in regards to winter sports. The resort features beautiful little cabins available for rent as well as dining, shopping and they often hold events on the mountain. Schweitzer is a beast, and offers something for beginners as well as advanced skiiers or boarders. Coming up on September 5th, Schweitzer is holding it’s annual Fall Fest. This year will be the 23rd year in a row that this festival has taken place! 8 bands playing over 3 days and tons of regional beer, wine, food and crafts for sale. The fall fest also marks the final days of summer operation and the chair lifts will be open for sightseeing, hiking and mountain biking at a discounted rate! The live music within the festival is FREE, and beer and wine packages start at $10. With over 60 microbrews the festival will be featuring, the beer package sounds like a pretty good deal. If you’ll be staying with us during labor day weekend, the hour long drive up to Schweitzer for this festival is well worth it.